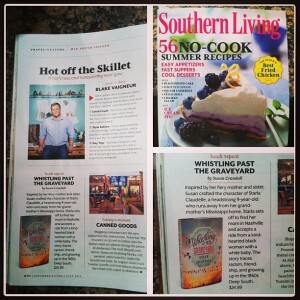 Whistling Past the Graveyard has made the hot list in the newest issue of Southern Living. Looks like Whistling Past is considered the best of the south! Whistling Past the Graveyard is available everywhere today. Make sure to order your copy right away is you want a SOLD OUT first edition!